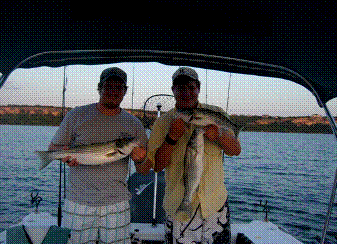 Come join us for a full or half day fishing trip on Possum Kingdom Lake. Texas Parks & Wildlife has stocked millions of Striper in PK Since 2001. The fish are healthy , have reached legal size, and are ready to bite. Sand Bass are also abundant. 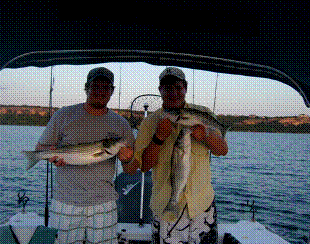 We fish out of large outboard boats that are safe and dry. Corporate , Large Group, and Multiple boat trips are available. Kids & ladies are welcome. 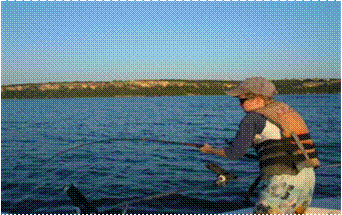 We use live and artificial baits depending on the season and fishing conditions. All fish are cleaned & bagged at the end of your trip. Call or e-mail 30 year veteran striper fisherman Randy Wood and book your trip today.